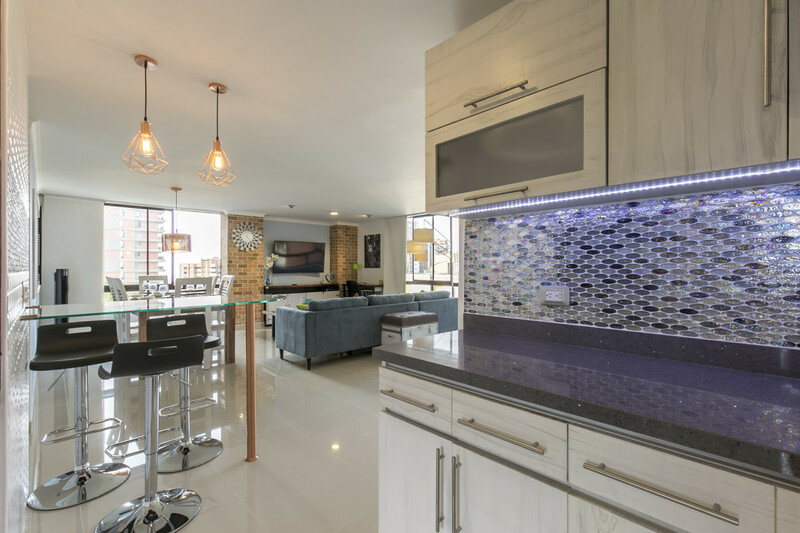 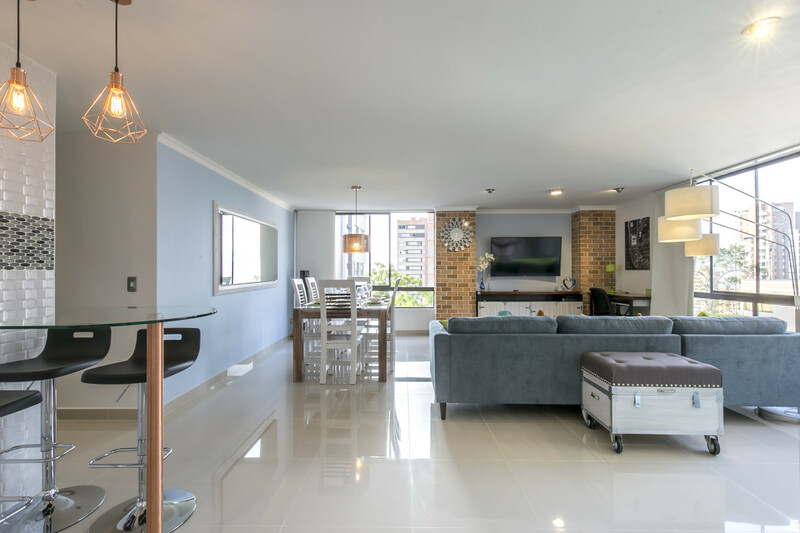 This newly and completely renovated apartment features an amazing modern design and an almost 360-degree view of the city. 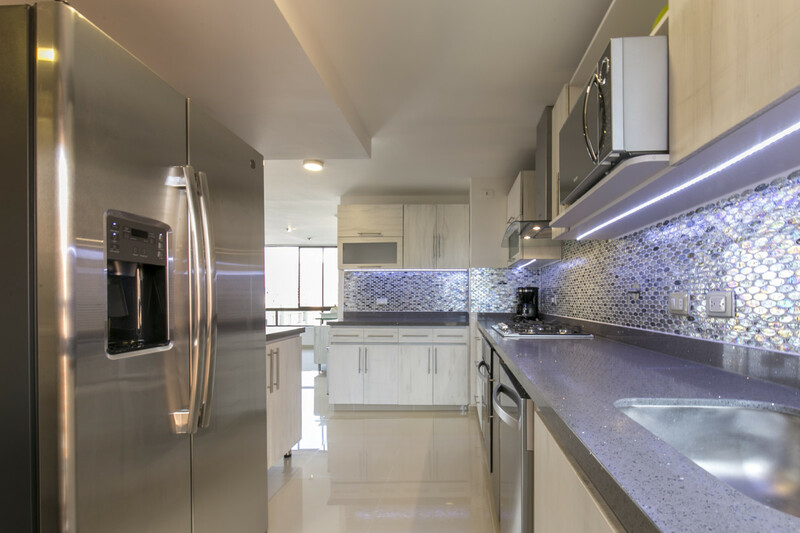 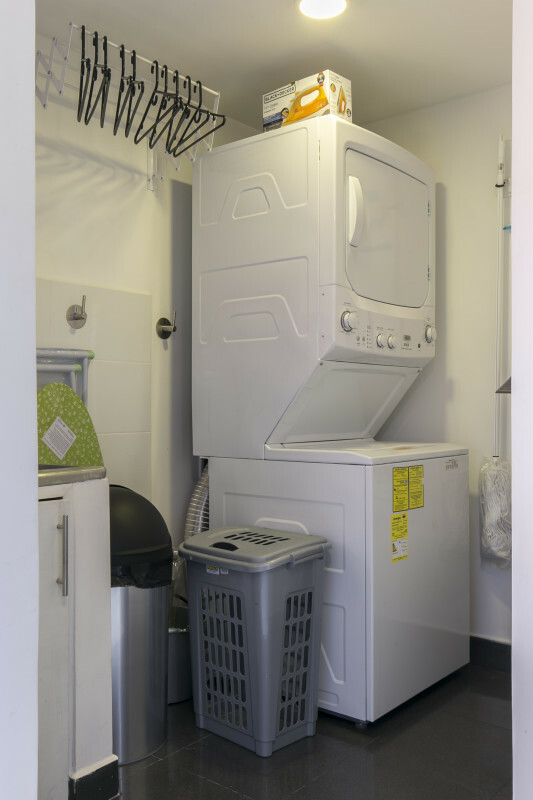 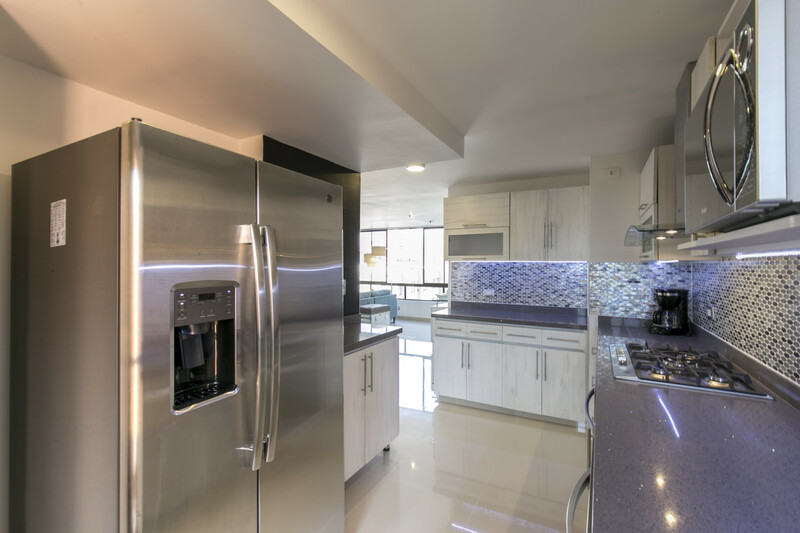 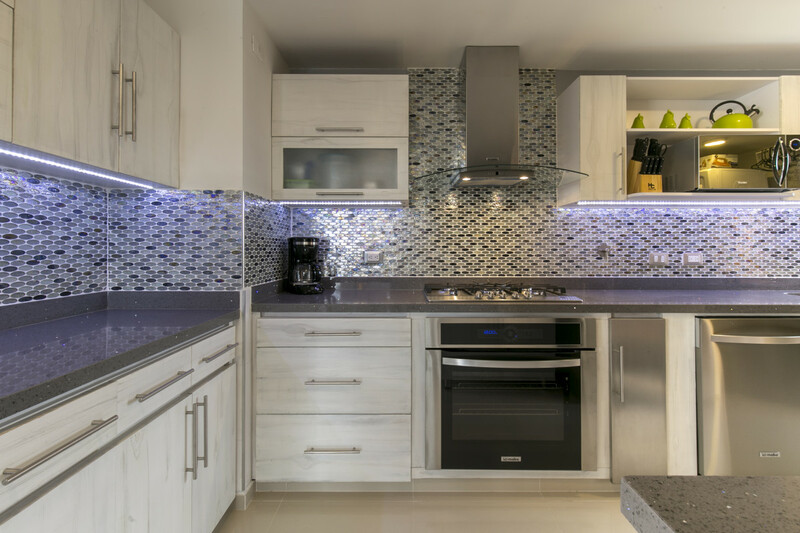 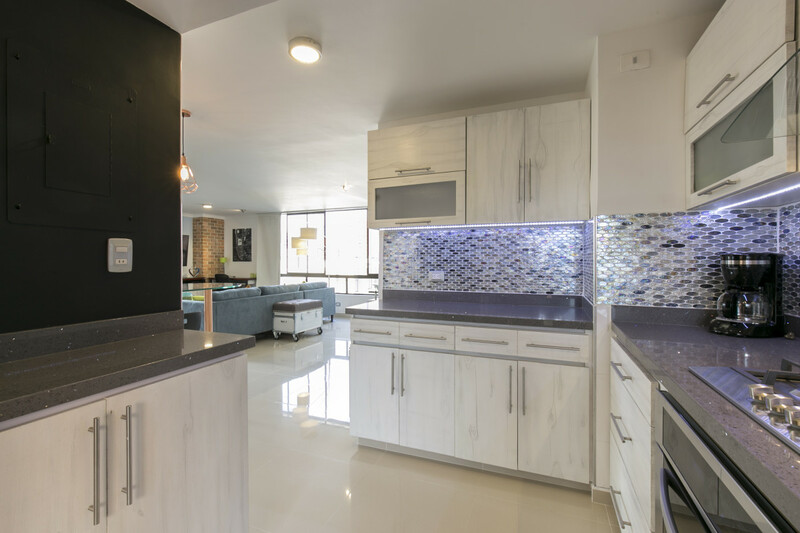 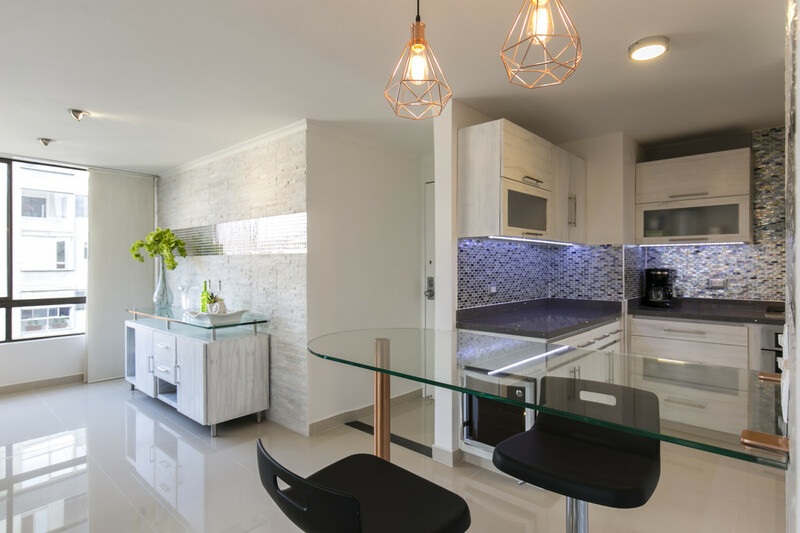 The apartment features an open and fully-equipped luxury kitchen including a dishwasher, large oven and gas cook-top, wine cooler, and an adjacent laundry room with a washer/dryer. 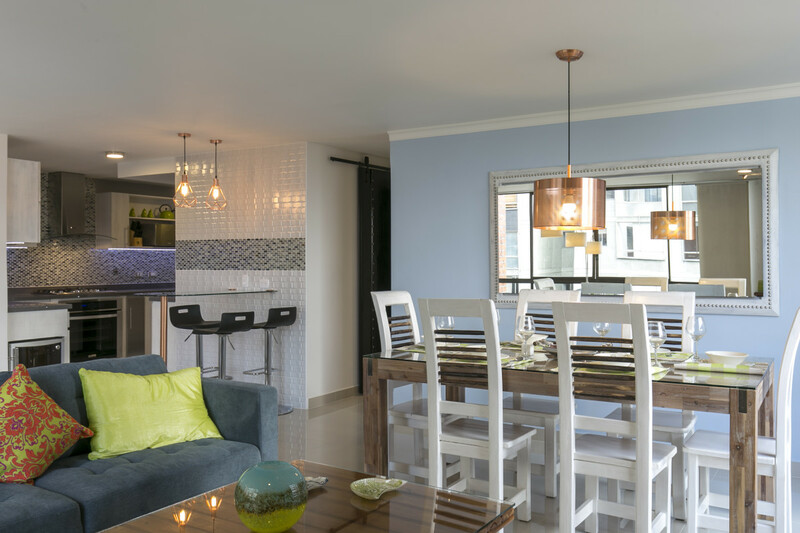 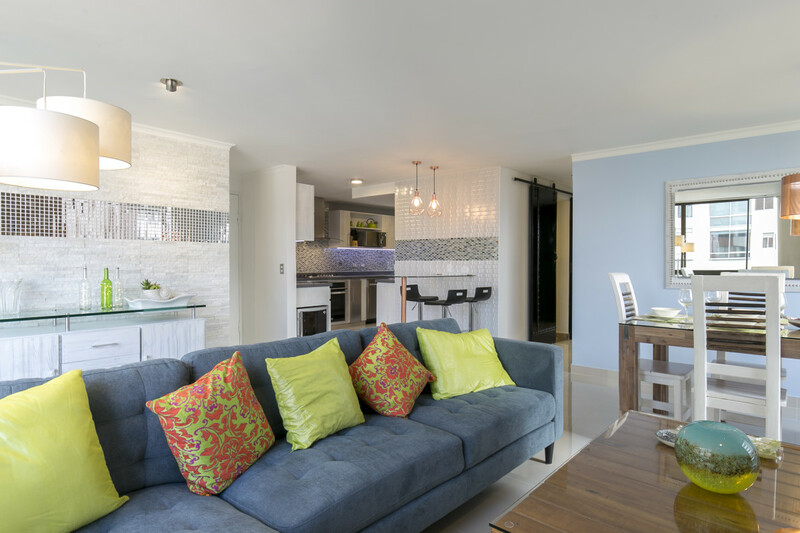 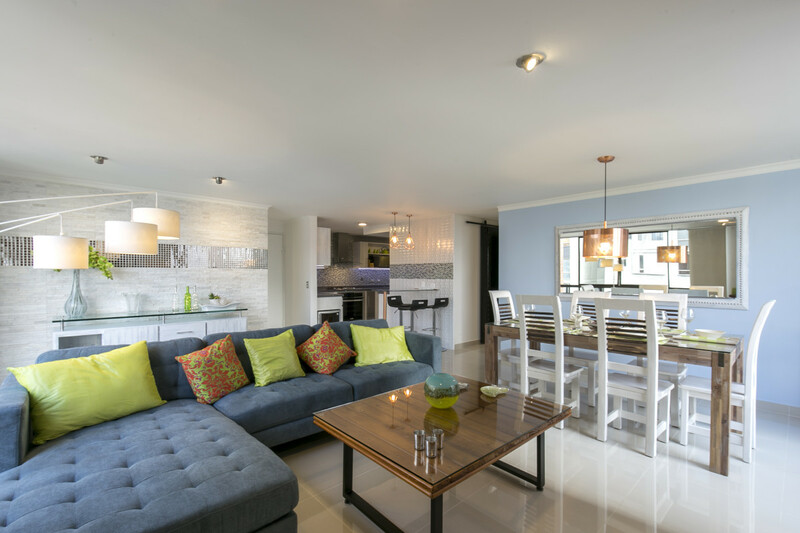 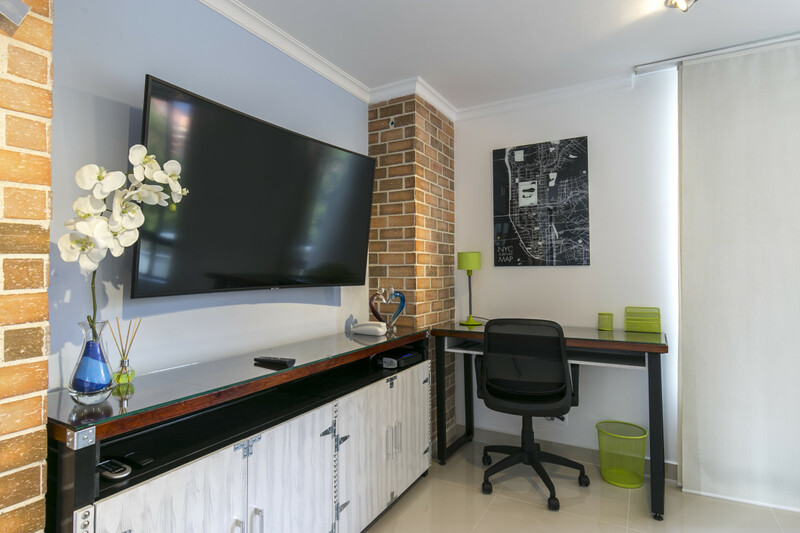 The main living area offers a luminous dining area for six, a bright and spacious living room with a large sofa, curved HD Smart TV, custom lighting and designer wall finishes, and a dedicated work station allowing you to comfortably work from home. 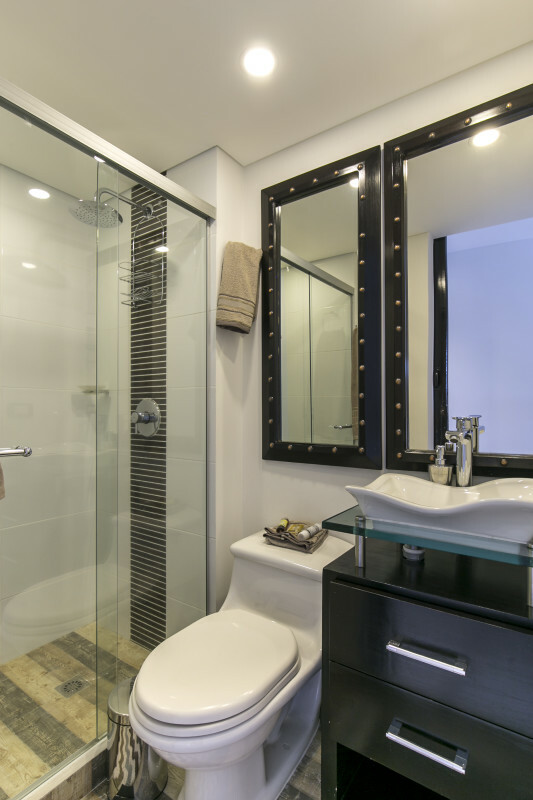 Traveling down the hallway to two luxurious bedrooms you will find a spotless custom guest bathroom with private shower. 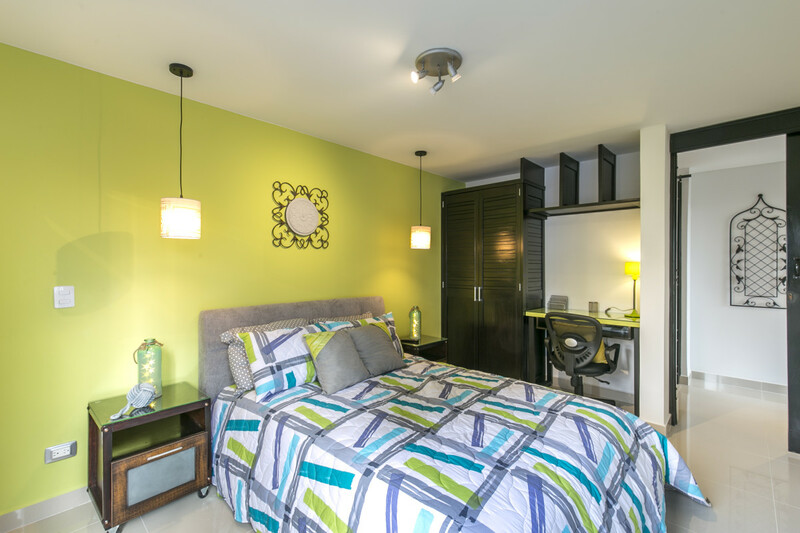 The master bedroom features a plush queen-sized bed, 55’’ HD Smart TV, black-out curtains, and a work station. 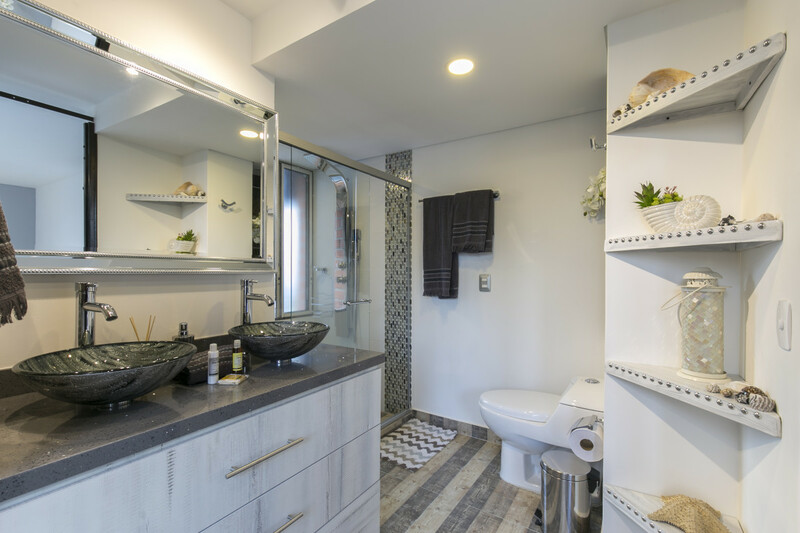 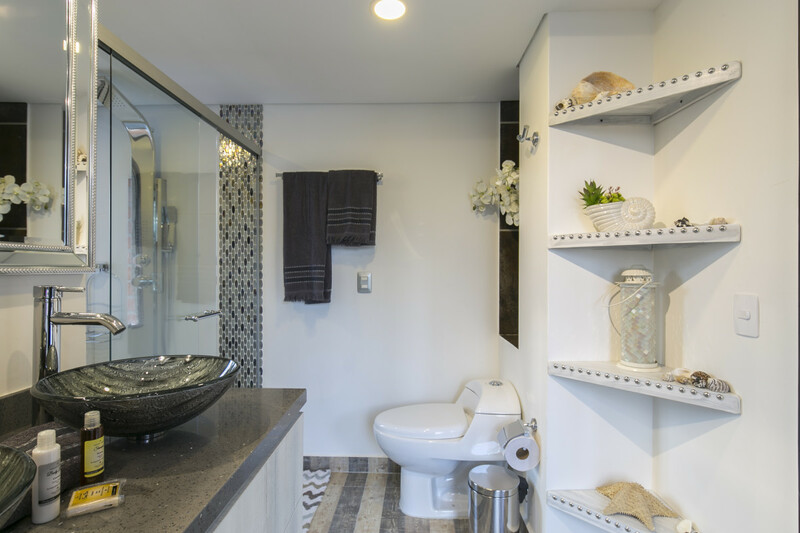 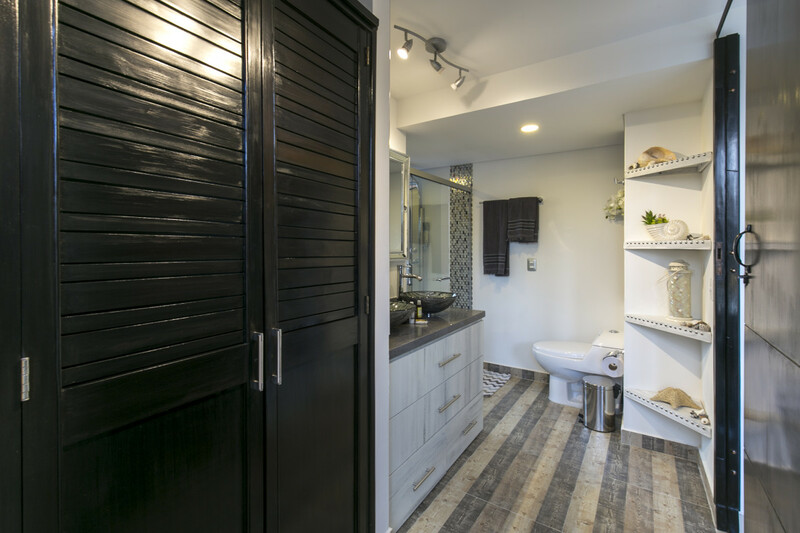 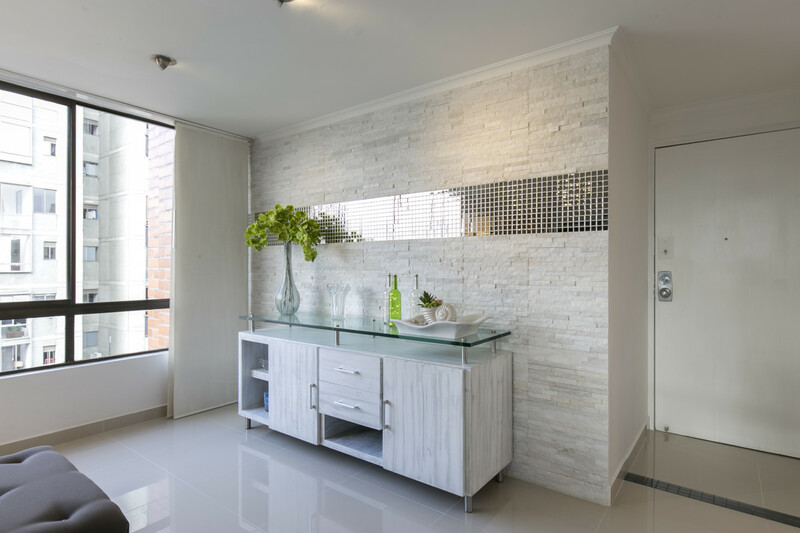 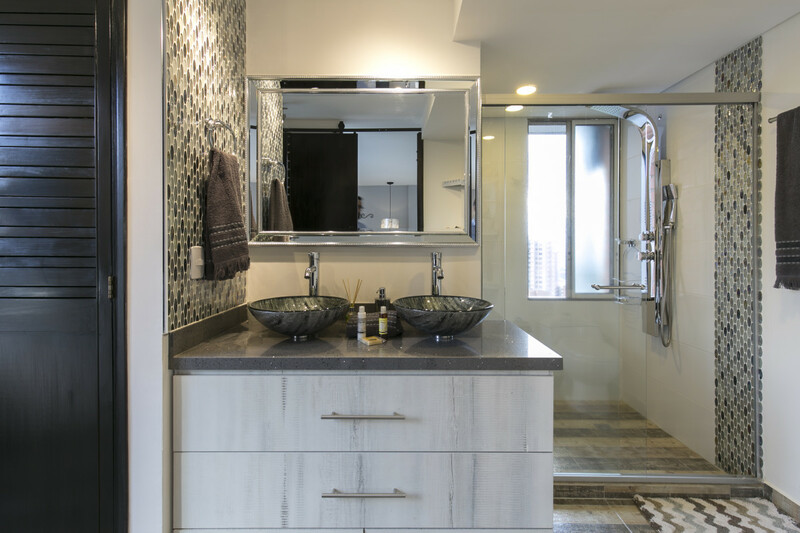 The en-suite luxury bathroom includes a walk-in closet, dressing area, double sink vanity, and a spacious shower with a "shower tower" for a high-end bathing experience. 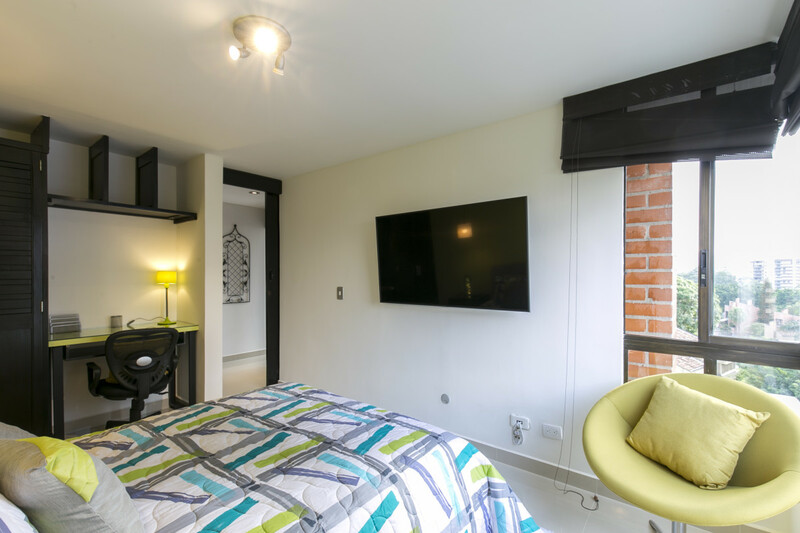 The secondary bedroom features an over-sized double bed, 55’’ HD Smart TV, work station, and spacious closet. 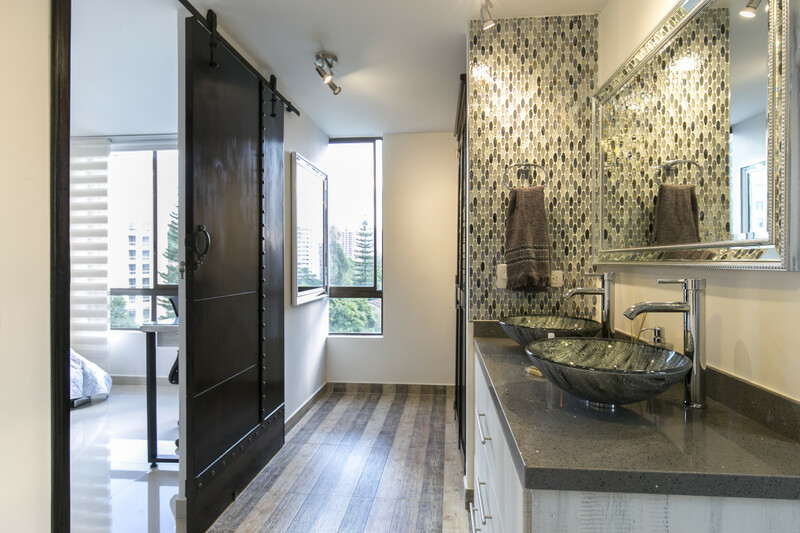 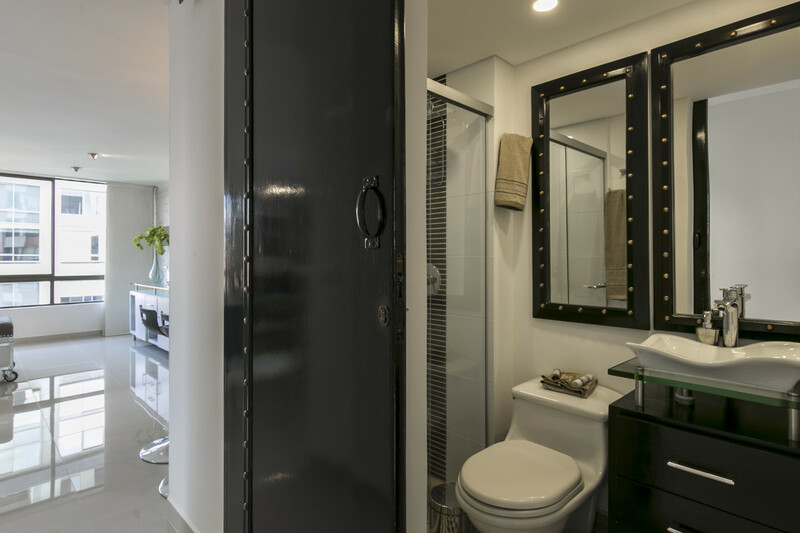 Each bedroom and each bathroom has a custom-made suspended sliding door for a modern feel. 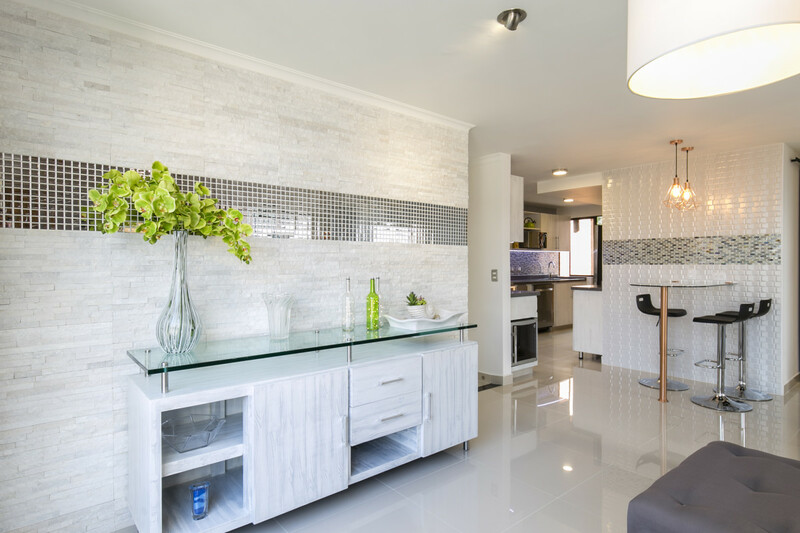 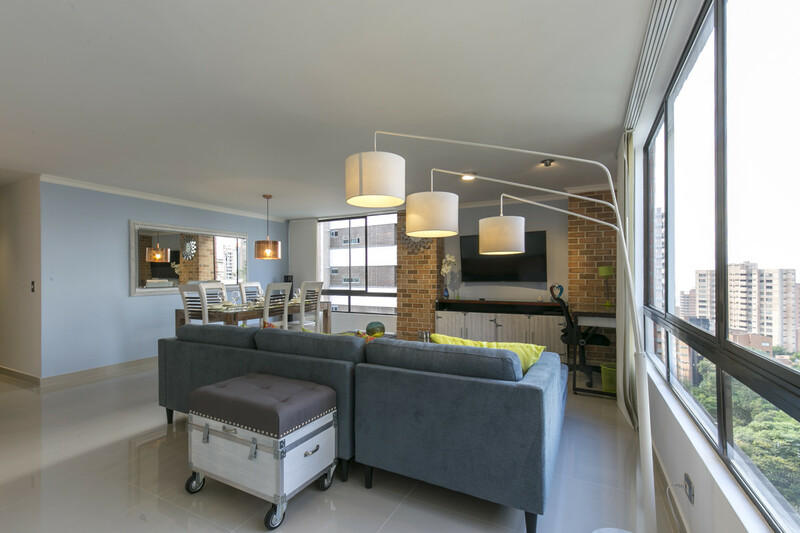 No expense was spared with this complete apartment renovation! 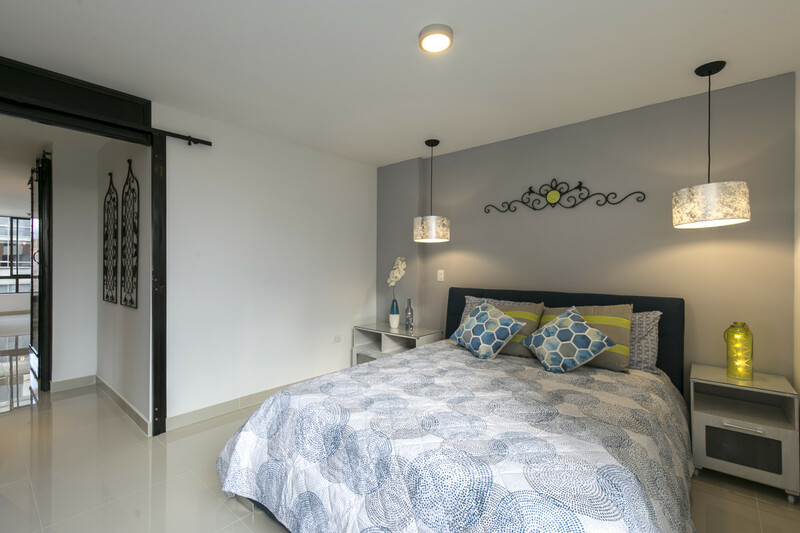 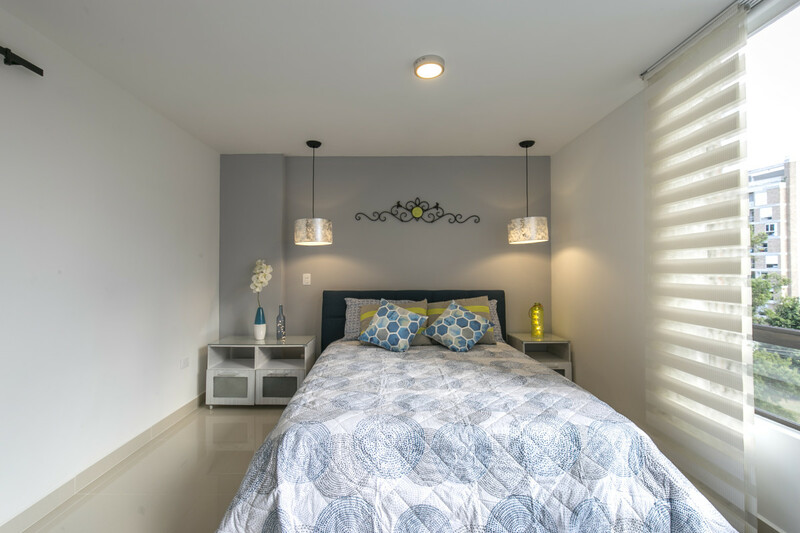 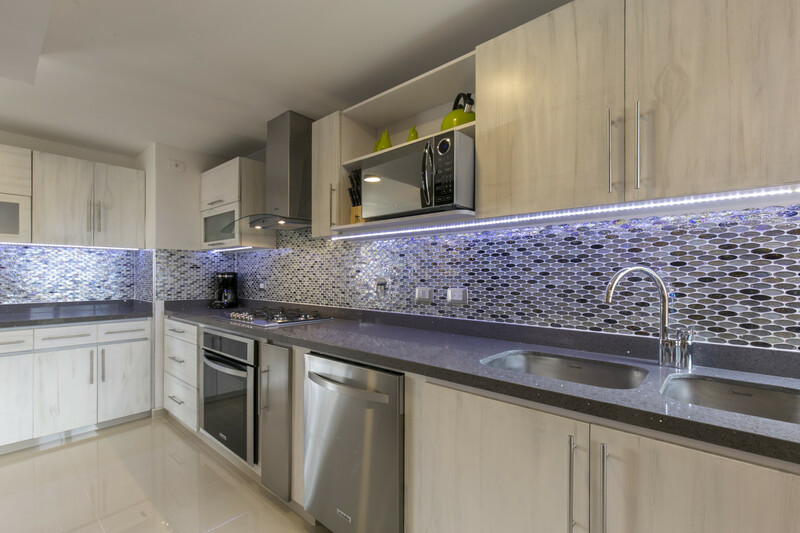 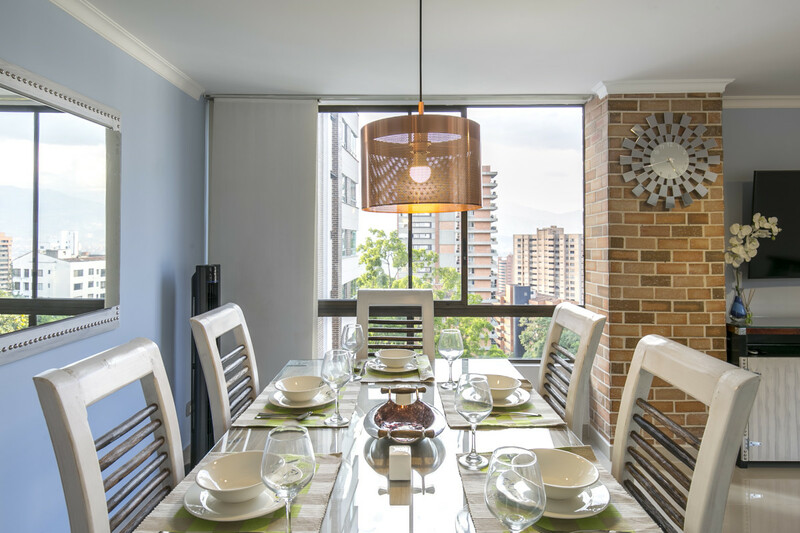 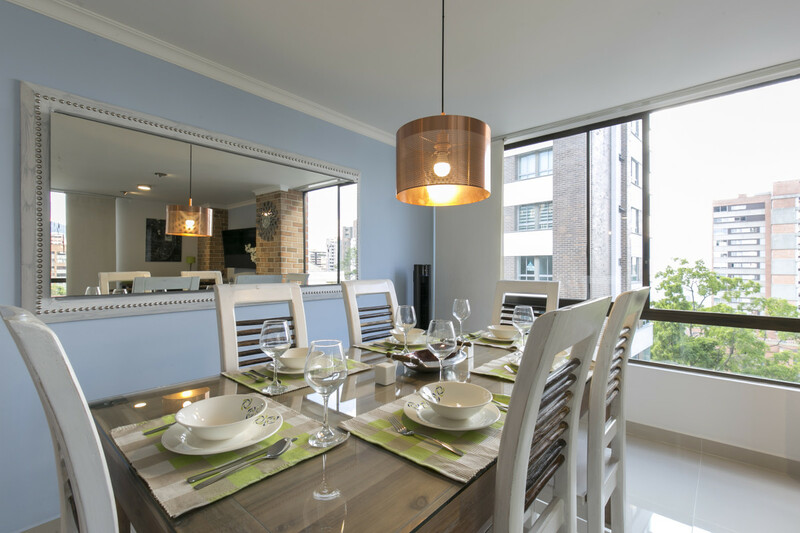 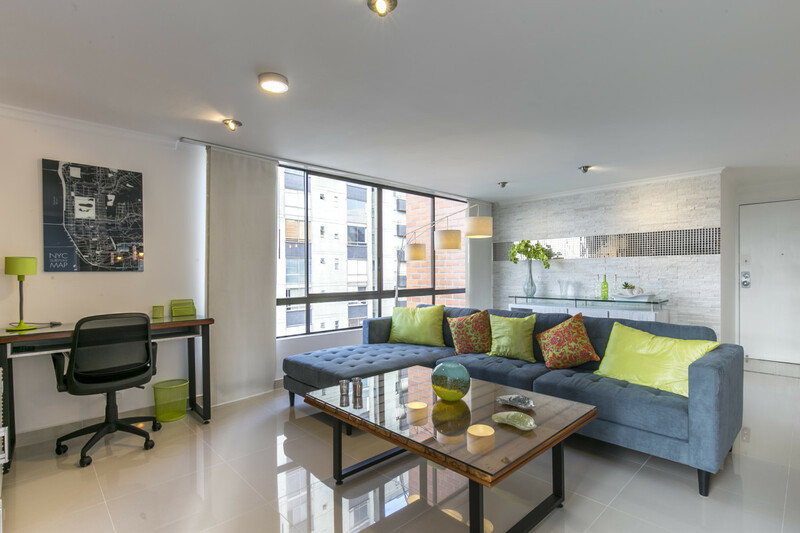 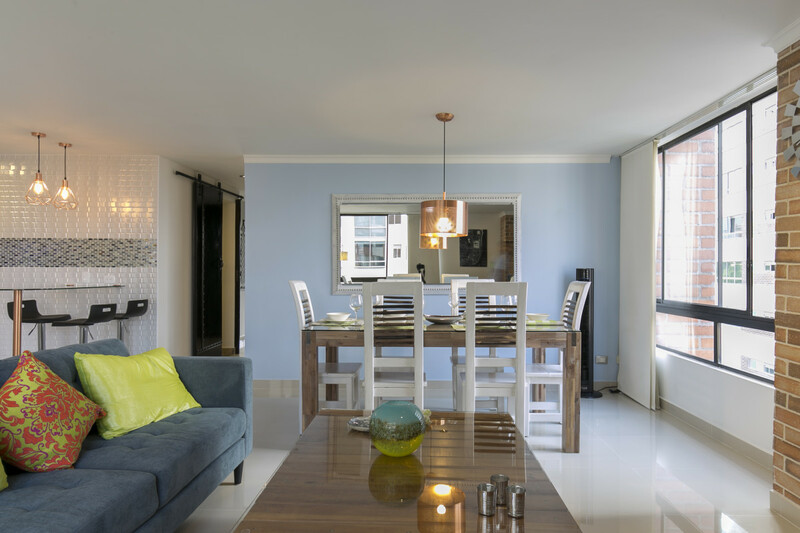 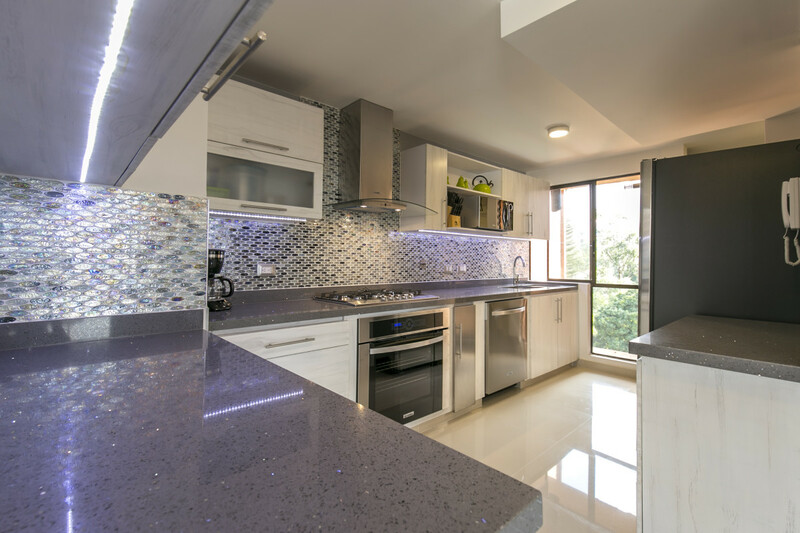 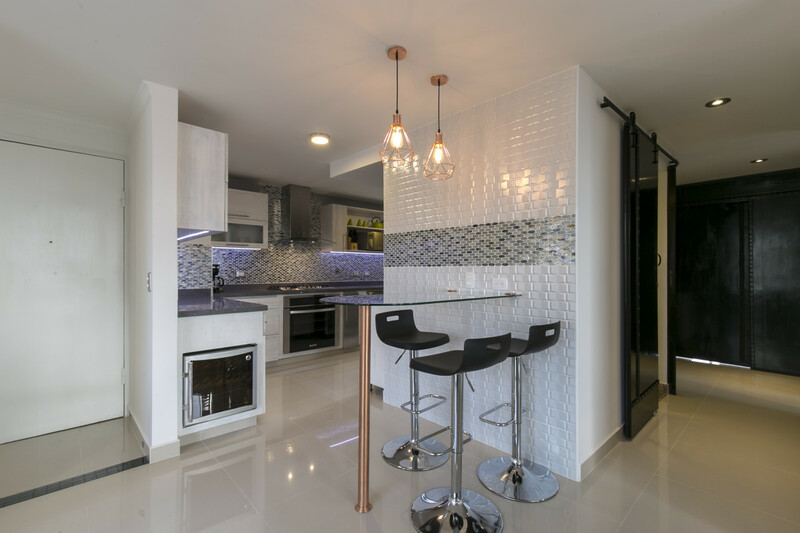 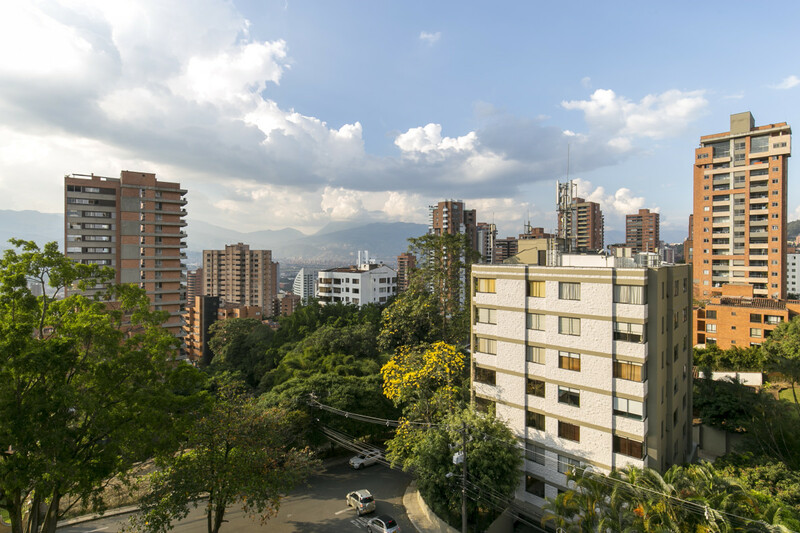 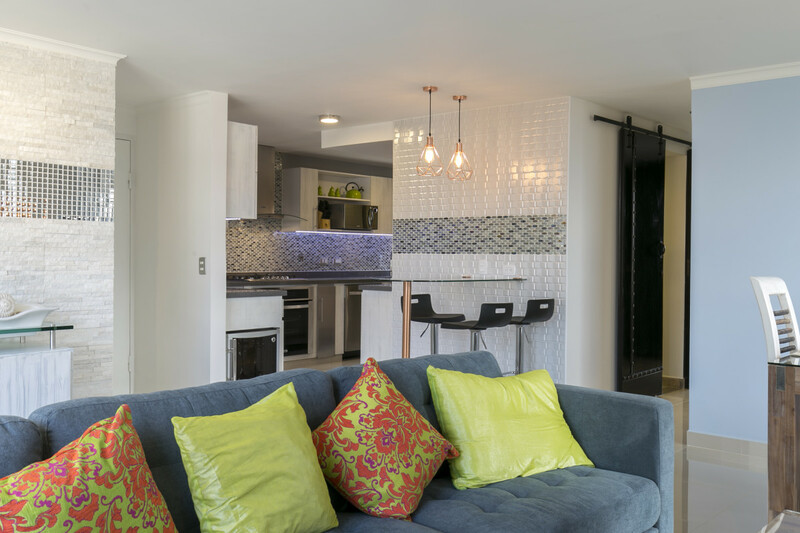 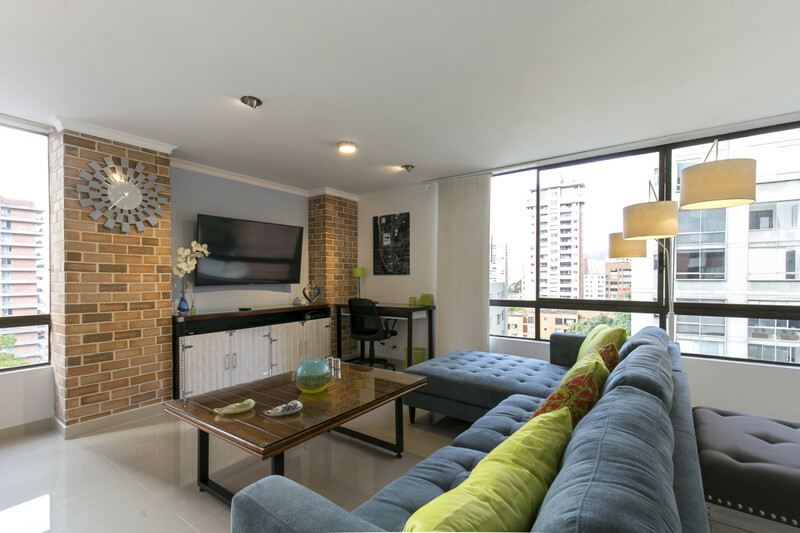 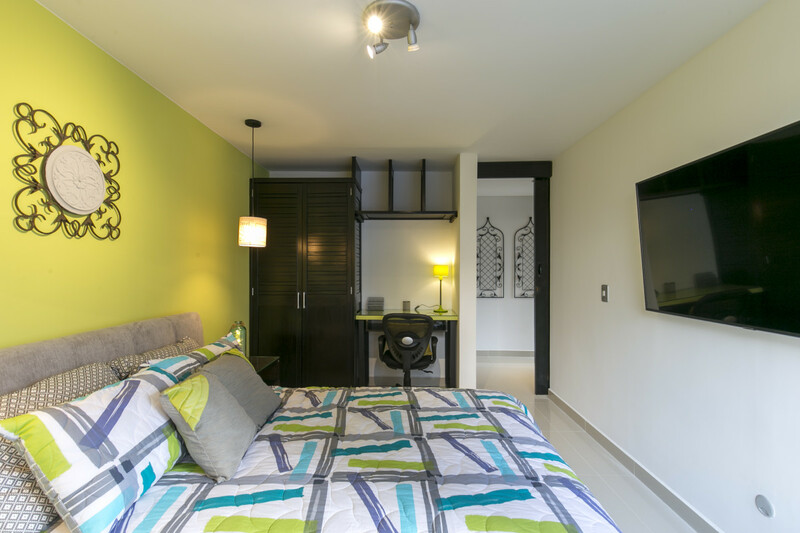 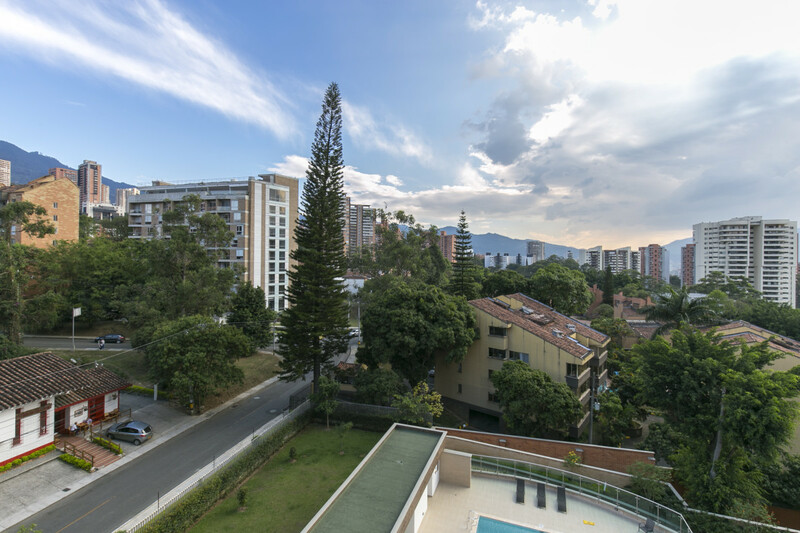 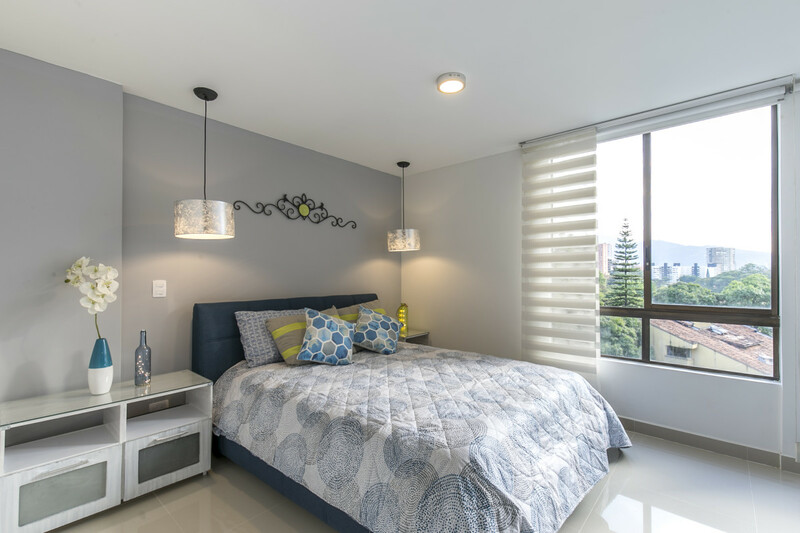 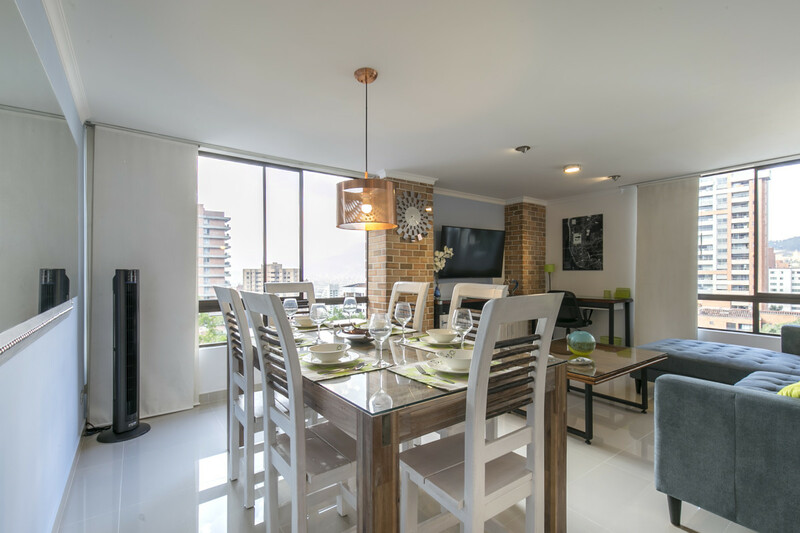 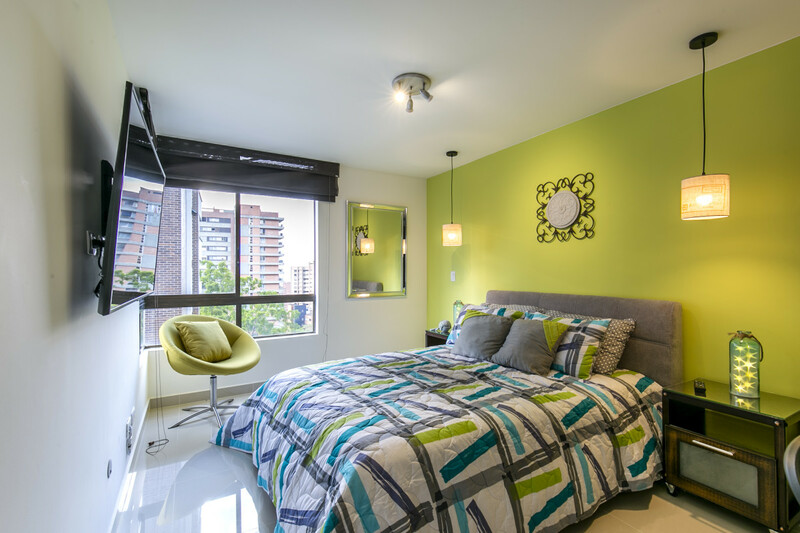 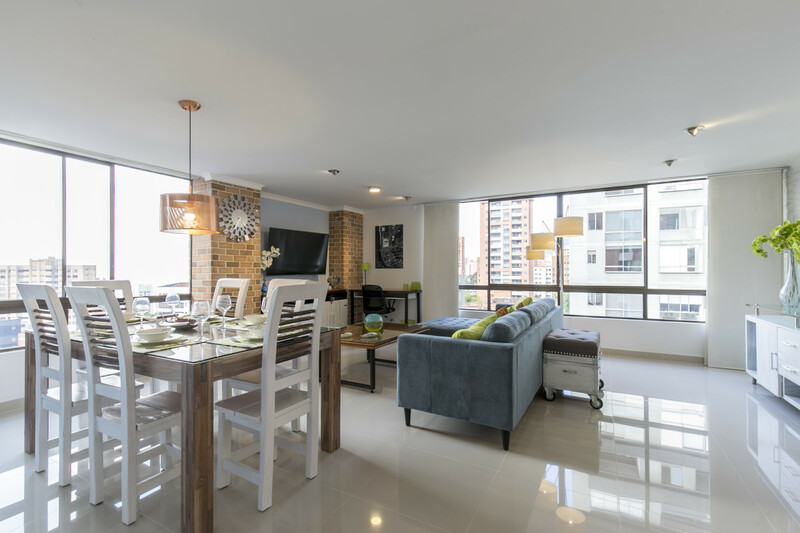 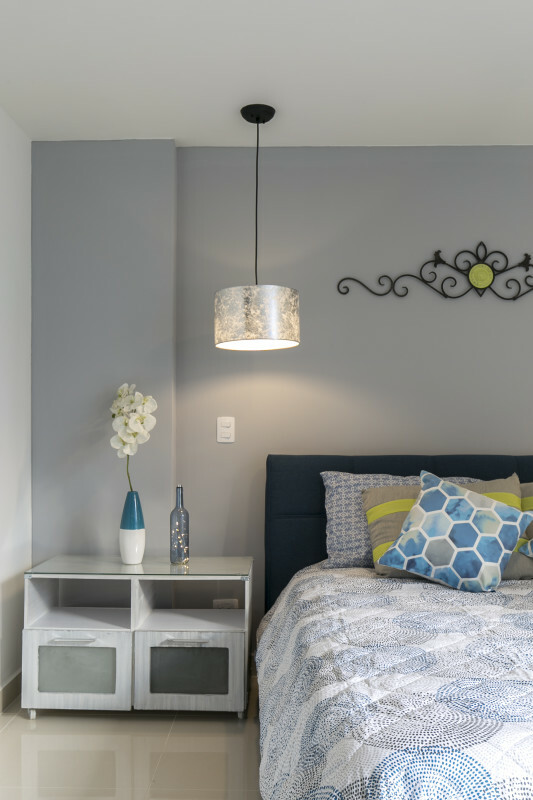 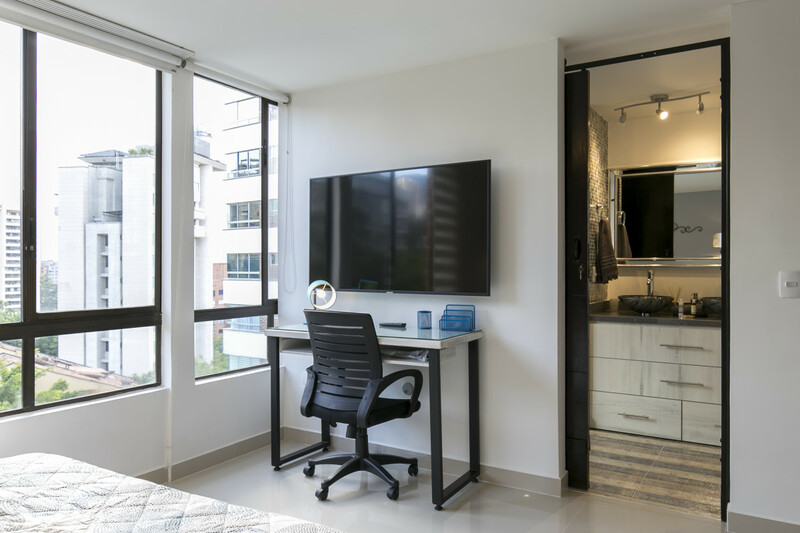 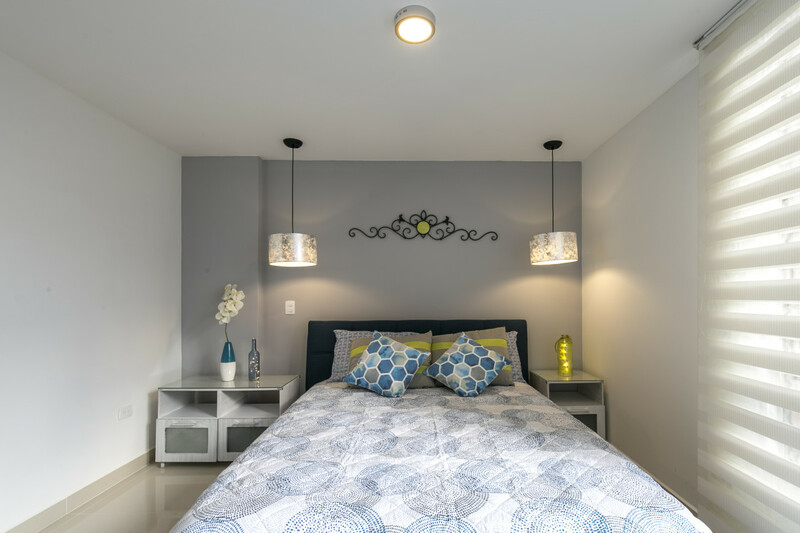 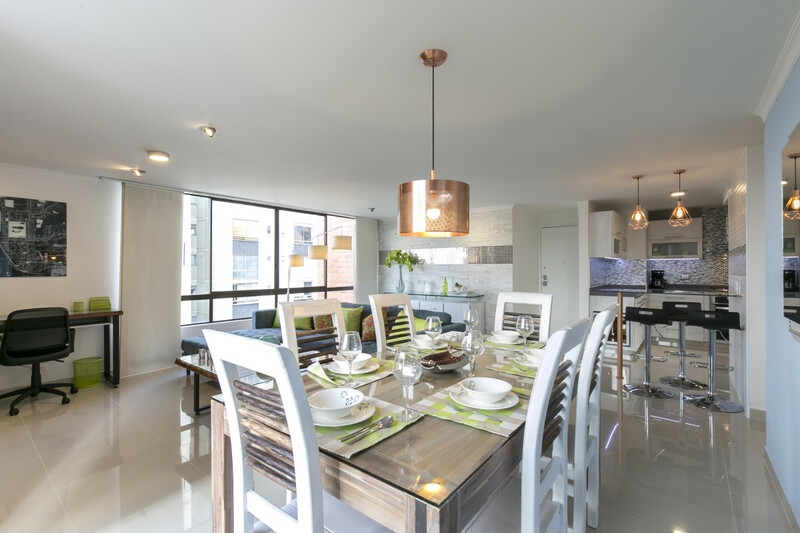 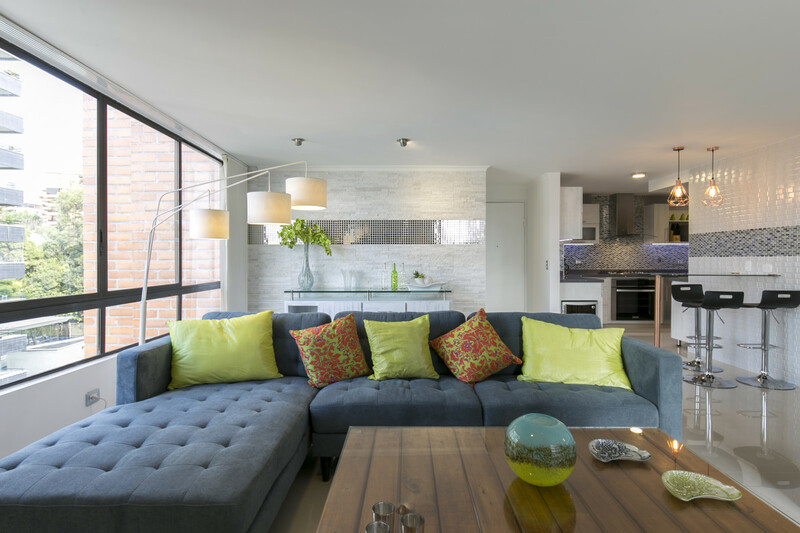 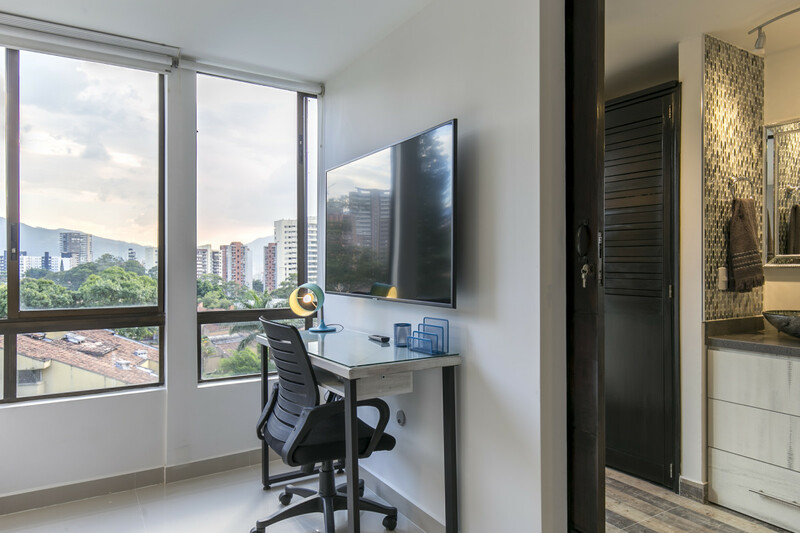 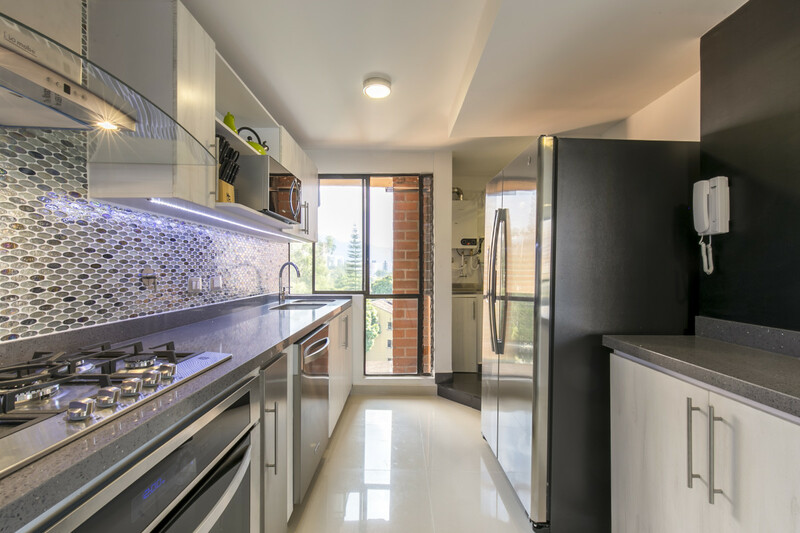 This completely renovated and fully-equipped apartment is located in one of the most upscale locations in Medellin. 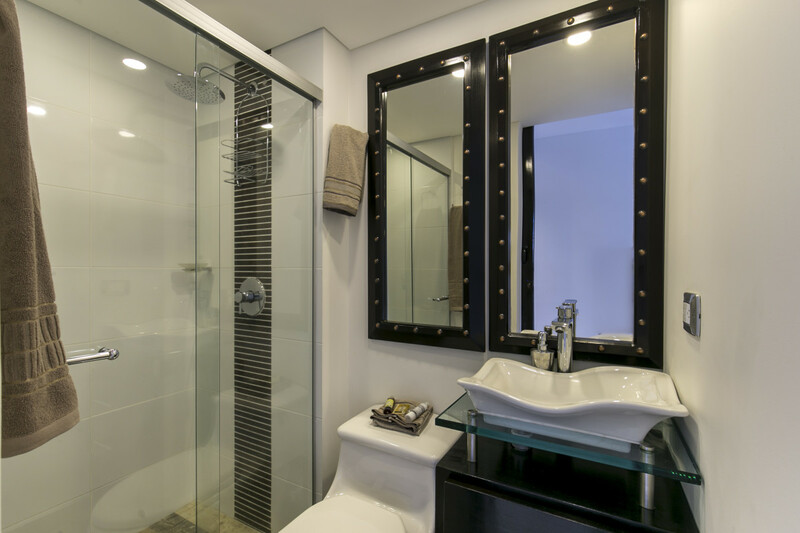 Just pack your clothes and toothbrush and you are all set!